Leading gases and engineering company BOC has expanded its EWM welding product line with the launch of the new EWM Taurus range featuring four welding machines suitable for both light engineering projects and heavy industrial tasks. 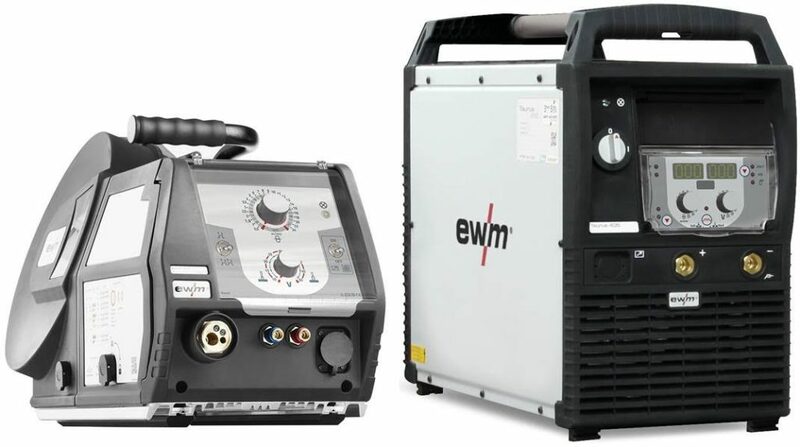 As the exclusive supplier of EWM products in Australia, BOC brings the latest in German welding technology to Australia with the Taurus range offering patented upgrades that will increase welding efficiencies for stainless steel, carbon steel, low alloy steel and aluminium alloy fabrication. Welding Product Manager Richard Fowles said the new range has three basic models and one advanced model, all featuring a modular design instead of integrated fixed system, allowing for easy customisation of the welding packages during their lifecycle. “The modular design of the Taurus welding range offers excellent flexibility with the power source, wire feeder and trolley all separate components, making it easier to upgrade or conduct maintenance checks. They are also smaller, lighter and more efficient than previous models,” Mr Fowles said. All four machines from the Taurus range cater for a wide range of markets from light to heavy engineering and include a 3 year warranty on the power source and an extended warranty period on the rectifier and transformer. The new EWM Taurus range is available from BOC Gas & Gears across Australia and online at www.boc.com.au.